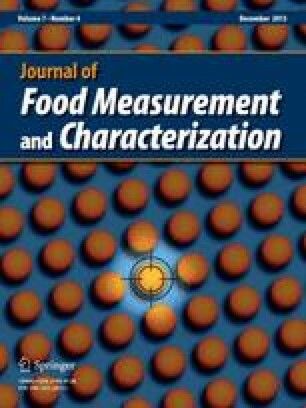 The aim of this study was to determine the content of lead, cadmium, aluminum, copper and mercury during Feta cheese manufacturing by using atomic absorption spectrometer. Results revealed that lead and mercury concentrations were higher after curdling and in fresh cheese after salting than other elements. Cadmium was detected at low concentrations in raw milk, pasteurized milk, after curdling and fresh cheese (0.053, 0.10, 0.20 and 0.24 mg/kg, respectively). Aluminum concentration did not change seriously during different steps of cheese manufacturing. On the other hand, the concentration of copper increased from 2.83 ± 0.97 mg/kg in raw milk to 3.25 ± 1.06 mg/kg in fresh cheese. It was concluded that the curdling and cheese after salting are the major technological steps that affect the concentration of some heavy metals rather than heat treatment.